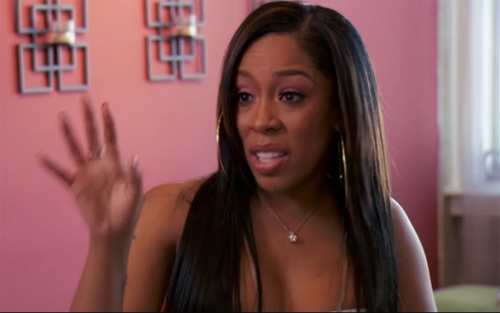 Atlanta Bloggers: K Michelle Runs in jive Records. I just found out K Michelle lost her record deal for running up in jive Records acting a damn a fool. Now don’t no other label want to mess with her because of that. I think they should give her a shot. The girl can really sing!! Joseline Tells MiMi she is Pregnant by Stevie J. You are so right, she does deserve another chance something clearly happened. If you listen to her music she has had a lot of bad breaks and pain. I like her music, seems like she takes two steps forward to be pushed 5 steps back. When you listen to her story you can feel her pain. I don’t think she is lying about nothing she has said. I think she has been pushed to the fact that when she boils its like the steam from a pressure cooker. Some people are good with being quite until being quite is no longer an option and the real culprits pretend to be innocent in the whole situation. Mean while you’re venting and telling things that shouldn’t have gone this far in the first place. But in life we have to learn never compromise yourself nor your feelings for people while they are killing you at your expense. But the one thing about a lie, the truth always reveals it. Something happened and it didn’t just happen in that one exploded episode a Jive Records. This is something that happened over a period of time and that one day of enough; pushed her over the edge and now people in high places are using it to their advantage. No she should not just cry! No she shouldn’t have to beg for a job with the talent she has. But Oh Boy!! She is gonna get her break! Her Break is coming and when it does there will be nothing to hold her back from what is rightfully hers. She has to be patient and wait for God to place her with the right people, sometimes we miss what is really ours grasping at the wrong things that we think are our next big break. This girls talent speaks for itself as soon as she starts to sing and then she plays piano. She might just be in the wrong category, She would probably do better with Gospel anyway. Cause she really has a story to tell.